Blog o všem: How to easy clone Mifare Classic access card with Android phone? How to easy clone Mifare Classic access card with Android phone? In this tutorial we show, how to make copy of Mifare Classic card or tag, which is used to access to different obejcts, attendance tracking etc. These instructions are only for educational purposes. Or to backup your own cards in case of loss. - Empty Mifare Classic card with rewritable sector 0. Rewritable sector 0 is important! So lets go. 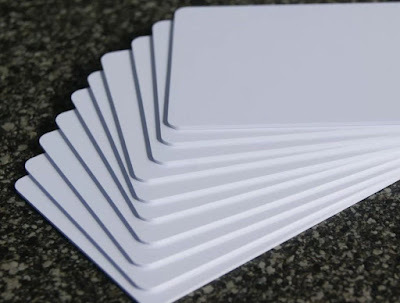 Firstly We will need to buy a new blank Mifare Classic card with a rewritable sector 0. In the sector 0 is stored serial number card. The serial number helps identify the card in the system for access etc. These cards can be purchased on Ebay, for example. The price of these cards is in the order of several dollars apiece. If we Mifare Classic card with a rewritable sector 0, we can download Mifare Classic Tool - MCT apk from Google Play. Now we turn on NFC on smartphone and run the application. Put the original card to the back of your phone and click on the Read tag and select all, click on the Start mapping and read tag and wait a moment. The phone reads the entire original card and displays the contents of individual sectors. In sector 0 on first line, we can see the serial number of the card. In other sectors, the additional data, or even be empty. Now click on the floppy disk to save a copy of original card into the phone. Then we return to the start screen of application and click on the Write Tag. Put the empty card to the back of your phone and click on the Write Dump (Clone) and click on the Select Dump. Chose dump and click on the Select Dump. Now let labeled all sectors and click on the OK.
Let all marked and click on Start mapping and write dump and wait a moment. That is all. Now you have made a copy of your original card. Before using, you can read copy with phone and compare with the original. If you like my blog, you can support me.